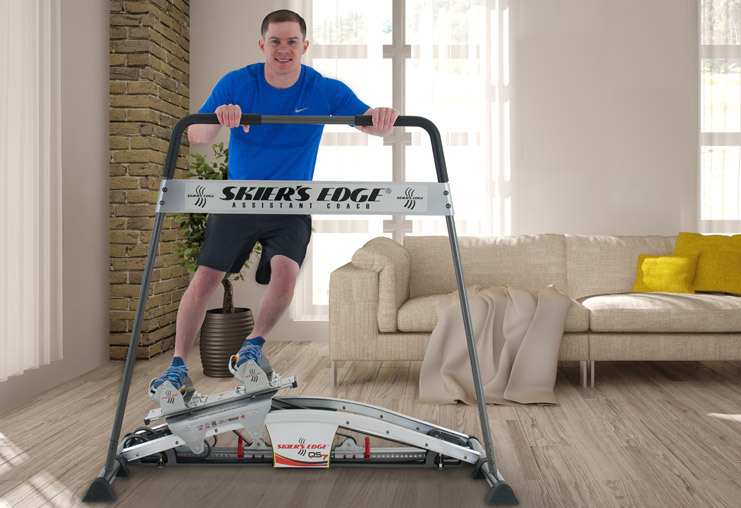 The Skier's Edge was designed as a non-impact lateral conditioning machine. After years of playing football and numerous knee surgeries, doctors told the creator and inventor of the Skier's Edge he should no longer run to stay in shape. He looked for a way to safely strengthen his knees, get a great aerobic workout, and be in top condition to ski each season pain free. After searching in vain for the right equipment and exercises, he developed the Skier's Edge. Upon showing the unit to doctors and physical therapists, he was encouraged to introduce it to all sports enthusiasts. Initially supplying only the U.S. 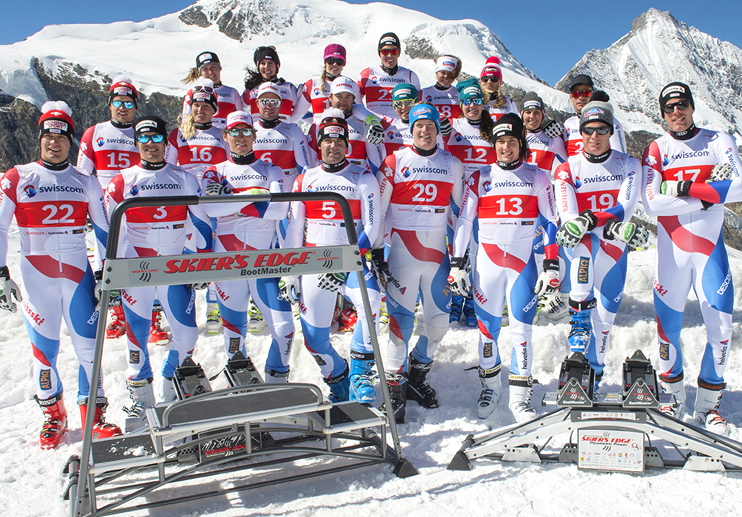 Ski Team, the Skier's Edge Company has since become the Exclusive Official Supplier to the World's Best National Ski Teams and is available to professional and amateur sports organizations, fitness facilities and the general public. The Skier's Edge helps aspiring novice and intermediate skiers become expert skiers who dominate the entire mountain in all snow conditions. In fact, many athletes who train on a Skier's Edge have proven to be quite extraordinary - winning numerous awards, titles, championships and Olympic Medals. Our quality is exceptional and our track record unmatched. Our Skier's Edge machines are used by World Cup ski racers, Olympians, pro-athletes and can be found in training rooms worldwide. The Skier's Edge is also used for training and conditioning throughout the NFL, NHL, MLB, NBA, MLS, major universities, sports medicine clinics, and rehab centers. Does the Skier's Edge really work? 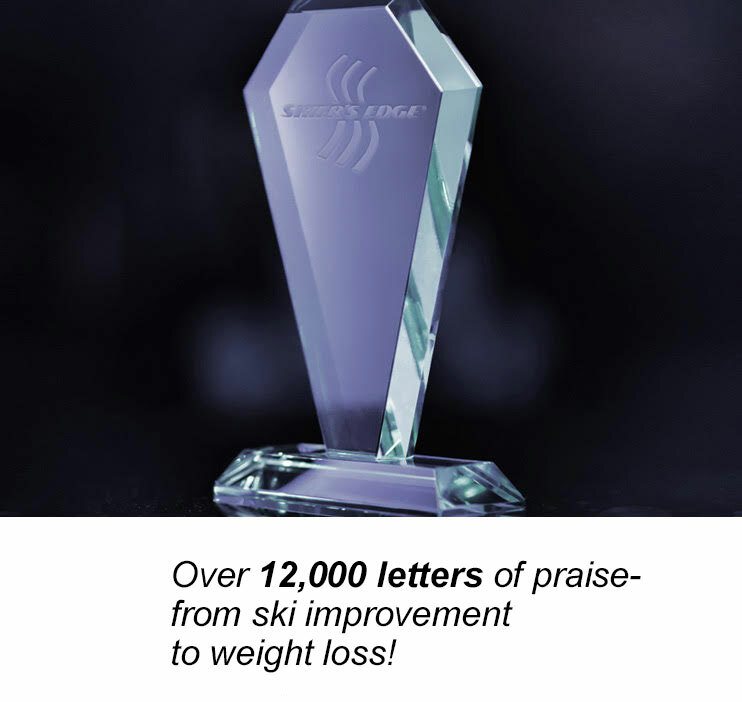 Yes, the Skier's Edge focuses on weight transfer, balance and agility. It builds strength through lateral motion, increasing endurance, muscle memory and flexibility and is a perfect cross trainer. Is the Skier's Edge for skiers only? Side-to-side movements are common to all sports--football, hockey, basketball, tennis, golf, soccer, lacrosse...etc. Properly training muscles for that kind of motion is difficult. The Skier's Edge not only trains the muscles, but also instills muscle memory to recall the movement when performing that action during a game. Will the Skier's Edge strengthen my knees and ankles? The Skier's Edge is a non-impact form of exercise and is used by rehab centers around the world. The machine moves by exerting body weight against resistance. Your own body weight is the safest weight to work against. How do the two machines differ? The QS7 is our top-of-the-line machine. The QS7 has precision aircraft aluminum rails with custom molded urethane wheels that glide effortlessly. The QS7 is our smoothest and quietest machine ever. Can I wear my ski boots on the machine? Yes, with the BootMaster accessory you can wear your ski boots or athletic shoes. The BootMaster requires the QS7 machine. Is there anywhere I can try it? Our machines come with a 30-day in home trial - We're convinced that once you try any Skier's Edge machine, you won't want to ski without it. Why? Because for every 100 machines we sell we only get 1.7 back! That's 1.7%!! How's that for customer satisfaction! Come visit our showroom in Salt Lake City.